We sat down for a chat with Gaël Duval, Co-Founder, and President of La French Touch Conference. Entrepreneur for more than 20 years, (he is the founder of many digital startups, BBDO-B2L and Nextedia notably), Gaël is the Founder and President of JeChange, the first free personal digital assistant dedicated to the price reduction of energy and telecom bills for private individuals and businesses. The French entrepreneur, also a business angel, is very invested within the entrepreneurial ecosystem, being one of France Digitale’s co-founders. After launching La French Touch Conference in 2014 and organizing 7 editions in the cities of New York, Paris, and San Francisco, he retraced this amazing journey with us in an interview. Where did the idea of launching La French Touch Conference come from? The idea occurred to me in 2013, in a very specific context. As a French entrepreneur, I was very bothered by the inaccurate international reputation the French ecosystem had at the time (with the Dailymotion case notably) when in reality, many creative and innovative initiatives were being taken in France. La French Touch Conference’s concept stems from the ambition to create an event that could break stereotypes and provide a more realistic image of France’s collective, structured and dynamic ecosystem. On the other hand, we wanted to build and strengthen a network of French companies, both nationally and internationally. The French diaspora has never been so important and includes successful French entrepreneurs who will probably stay abroad. That being said, the second objective was to connect French ecosystems based in France and abroad, which [collectively] share the ambition of growing internationally. La French Touch Conference’s success scaled up our objectives. Today, we build bridges with dynamic ecosystems around the world, not only with overseas French networks. Within four years, La French Touch Conference organized seven editions in San Francisco, Paris, and New York, and launched Pitch in the Plane, the world’s only startup competition aboard a commercial flight. What was the development strategy and how would you explain La French Touch Conference’s success? At first, Cedric (Giorgi, co-founder of La French Touch Conference) and I planned to organize a single event [in New York] on the spur of the moment. We honestly never would have thought the demand would be so important! The positive feedback following LFTC New York 2014 made us re-think the concept of La French Touch Conference. We also noticed strong interest from international investors, especially Americans, who wanted to know more about the French ecosystem’s dynamics. Following the first edition, many French entrepreneurs voiced their ambition of scaling-up, raising funds, and developing their businesses abroad. Some actually did so! This unique gathering of diverse entrepreneurial communities turned into an opportunity for startups like Sharalike and Selectionnist to raise money from investors present for the occasion. The same applied to Pitch in the Plane winners Mapwize and SkyLights. I think not everyone realizes that major American cities like Boston, San Francisco, and Los Angeles are constantly competing to attract talents and innovators. New York is also one of them, hence the city’s interest in supporting our initiative and hosting our event: La French Touch Conference is about bringing talents together. Within 18 months, we managed to export our model to two other cities, Paris and San Francisco. 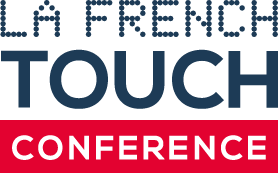 With two more editions planned in Paris and New York City this year, we are aiming to develop La French Touch Conference’s concept across the globe, should it be in Asia, North America other ecosystems. I believe that once you’ve done it in New York City, you can do it anywhere! La French Touch Conference was created with the purpose of building bridges between entrepreneurial ecosystems and internationally promoting the « French Touch ». How would you define this notion of « French Touch »? The French culture was heavily influenced by the Enlightenment period; therefore, we do not take things for granted and tend to constantly question the truth. That also applies to the way we conduct business. (I’m not the only one saying this, Americans do too!). The “French Touch” is a way of thinking differently, of “thinking outside the box”. Basically, it’s the capacity of grasping and solving an issue in a completely different way from what is commonly done. Only a few know people know this, but the term “disruption” was invented by the Chairman of TBWA Worldwide Jean-Marie Dru, a Frenchman. He applied the notion of disruption to business advertising, a notion then applied to other industries. I think the “French Touch” is kind of like music, it adds a different tone, a different sonority to an existing way of dealing with an issue. In what way does La French Touch Conference have a “French Touch” to its concept? We added a «French Touch » to our models by creating new event formats and unique experiences. Some say “sky is the limit”: we proved the contrary by organizing the first flying startup competition aboard a Paris – New York City commercial flight. In 7 hours, 7 start-ups pitched to venture capitals & investors. We are also putting effort into adapting to ecosystems in which we organize events. In San Francisco for instance, we offer a completely different format than in NYC and Paris: the event is presented as a less structured and less formal event, closer to what we call an unconference. What is your entrepreneurial dream? Probably like many other entrepreneurs, I dream of creating a platform that would allow me to store, structure, and launch all the entrepreneurial projects I have in mind. What advice would you give French entrepreneurs who have the ambition of expanding abroad? If you’re an entrepreneur and you want to expand abroad, just choose a country and go for it. Once you do it in one place, you’ll be able to do it in many other places.